Sorry, sometimes I just can’t pass up a good (or bad) pun! 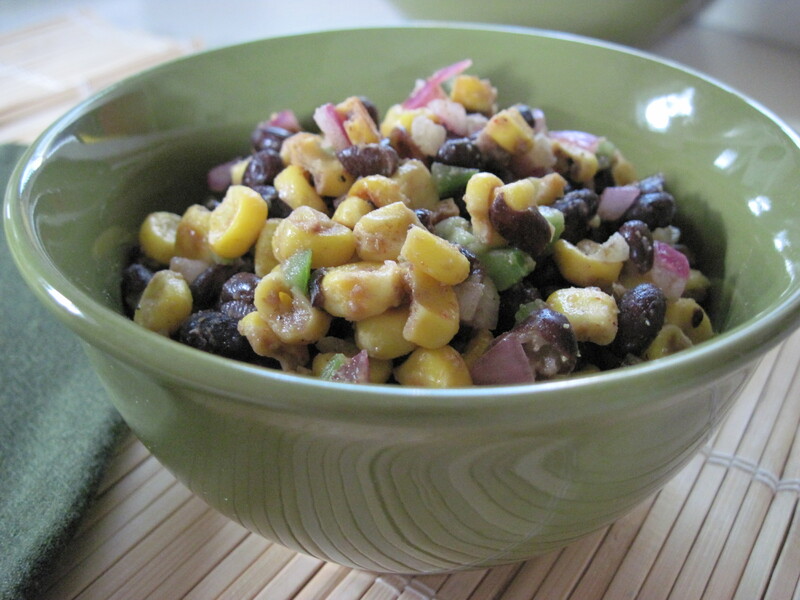 This black bean and roasted corn relish will help get you through those meat-centric summer BBQs! Use it to spice up your veggie burger, bring it as a healthy and flavorful side salad or just serve it with some corn chips. 1. Heat about 1 Tbs of olive oil in a medium saucepan over medium-low heat. 2. Add beans, garlic powder, 1 Tbs of cumin and cayenne pepper to taste (I use about 1/2 tsp). Heat until thoroughly warmed and beans just start to soften (about 5 minutes). Chill. 3. Heat about 2 tsp olive oil in a large skillet over medium-high heat. Add thawed corn and remaining cumin. Heat until cooked thoroughly and some edges begin to turn dark. Chill. 4. After beans and corn have thoroughly chilled (about 30-45 minutes), combine together and add garlic, onion, pepper, lime juice and vinegar. Season with a pinch of salt and some freshly ground black pepper. 5. Gently mix, seal and chill for at least 45 minutes. Serve as a light side dish to any meal, with chips as a party dip, or over greens as a summery salad (no dressing needed). But my favorite use of this is to spruce up those veggie burger/fake chicken sandwiches you are left eating at summer BBQs! 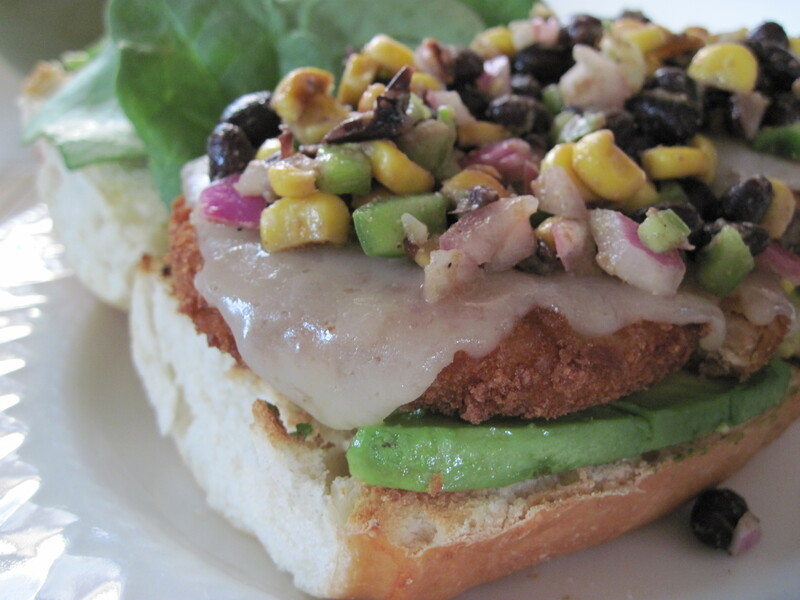 This one has avocado, a chik patty, monterey jack cheese, the black bean and roasted corn relish and baby spinach. •If you want your corn a little drier and crunchier, thoroughly squeeze kernels in a fine strainer or paper towel to remove some moisture before cooking. •I use frozen organic sweet yellow corn for this dish. However, feel free to take this out to the grill! Just by fresh corn, season with the same seasonings and roast over a grill. After it is slightly charred, remove from the grill and chill fully. 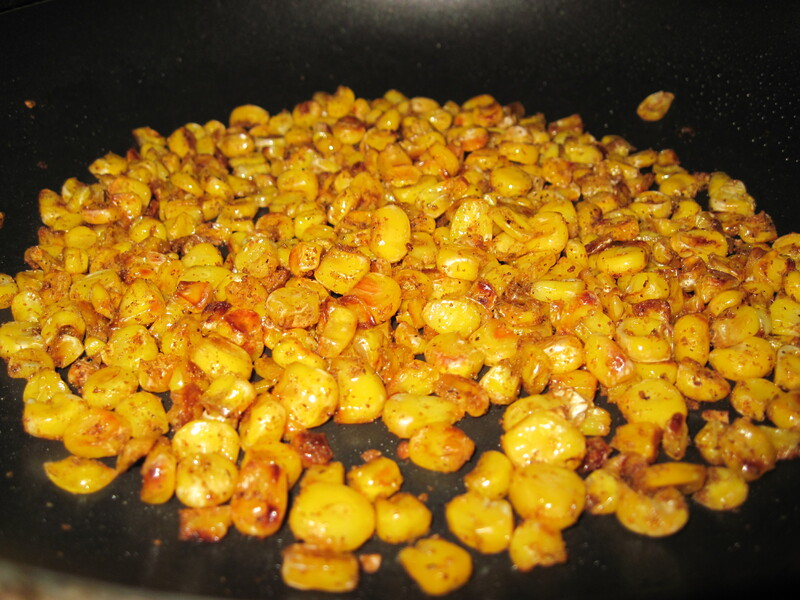 Once chilled, slice kernels off of cob. •Make sure you thoroughly chill the beans before mixing with the other ingredients – particularly if you maybe overcooked them some. This will ensure they better keep their shape and you can avoid having a mushy (good-tasting) mess! 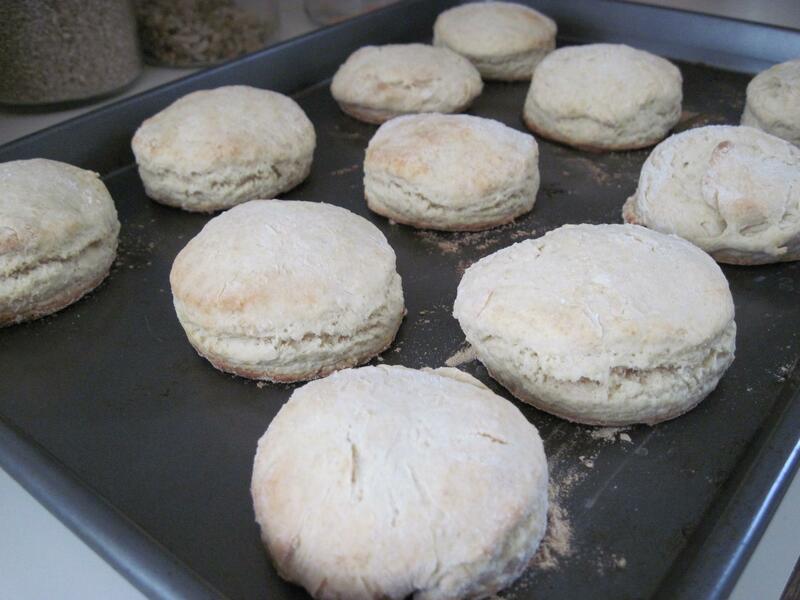 This biscuit recipe is a combination of several different recipes I’ve tried over time. This version is (to me) the perfect balance of flaky and doughy, sweet and salty, and most importantly, they’re super easy to make! 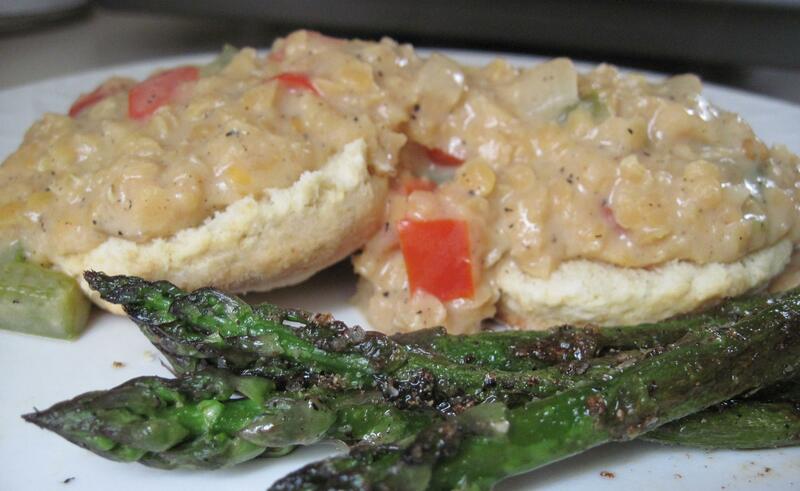 These are the biscuits I use when I make my red lentil gravy. Not only is this probably my favorite breakfast, but it’s a great crowd-pleaser for when you host brunch. 1. Preheat oven to 450ºF. 2. Combine dry ingredients in a medium bowl. 3. 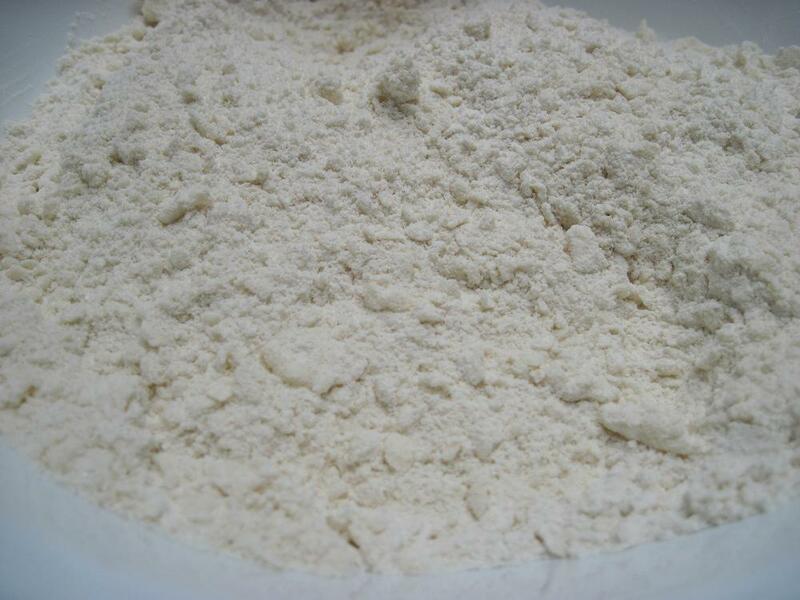 Cut butter into the mixture with a fork until it looks like cornmeal. 4. Gradually add milk (1/3 cup at a time), stirring constantly until well mixed. 5. Gently knead the dough on a lightly floured surface 3 to 4 times. 6. 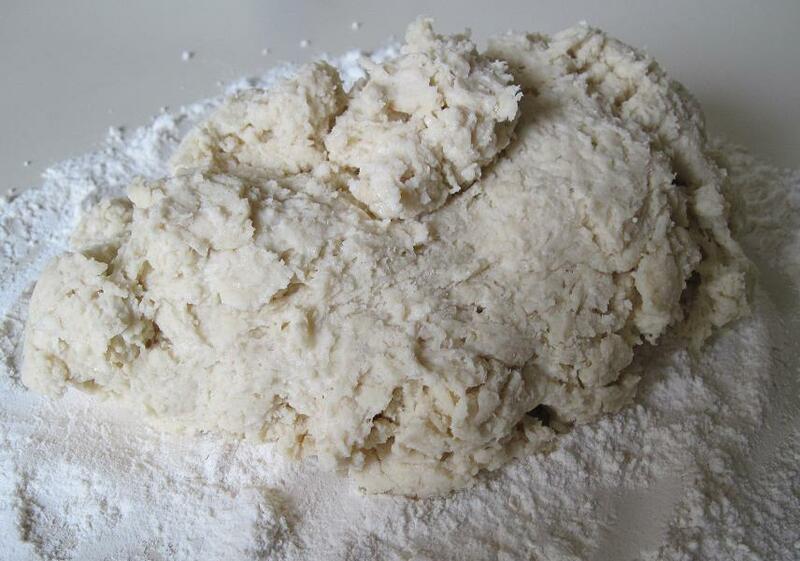 Flatten dough until it is about 1/2″ thick. Cut with a 2-inch biscuit cutter. 7. 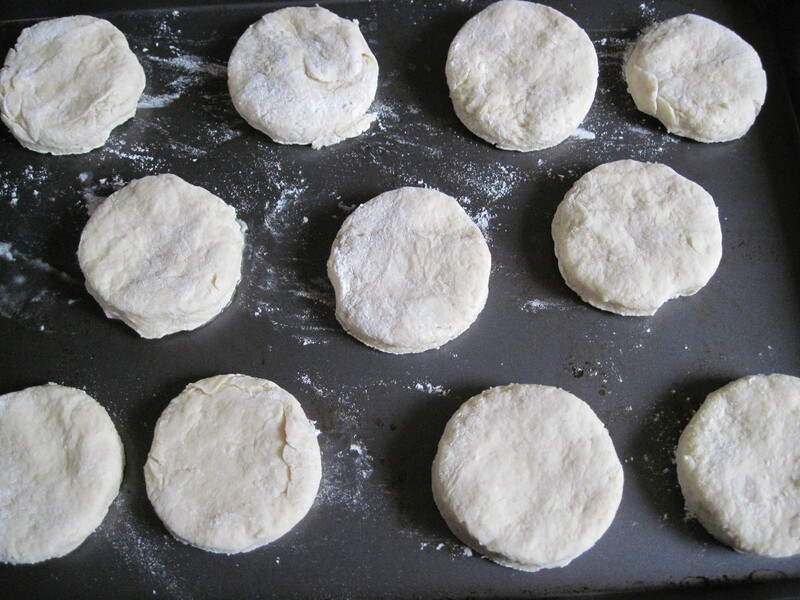 Place biscuits on an ungreased cookie sheet (leaving at least a 1/2″ between biscuits). Bake for 13 minutes or until golden brown. Serve with red lentil gravy and home fries or grilled veggies. I am a huge fan of all things breakfast! So I get excited any time I come across a tasty vegetarian version of traditional breakfast foods. This recipe is based on something I found in Vegetarian Times a while back. The picture that accompanied the recipe looked very pretty; the actual dish…well, let’s just say it tasted great! Be sure to note the ingredients. Not only is there very little fat in this dish, but it is full of veggies and lentils. And I promise it will satisfy most any biscuit and gravy cravings! 1. Add lentils to 3 cups of water and a pinch of salt and bring to a boil in medium saucepan. Reduce heat to medium-low and simmer uncovered until tender (8-10 minutes). 2. Drain lentils and set aside. 3. Heat oil in large saucepan over medium-high heat. Add onion and cook 5 minutes. 4. 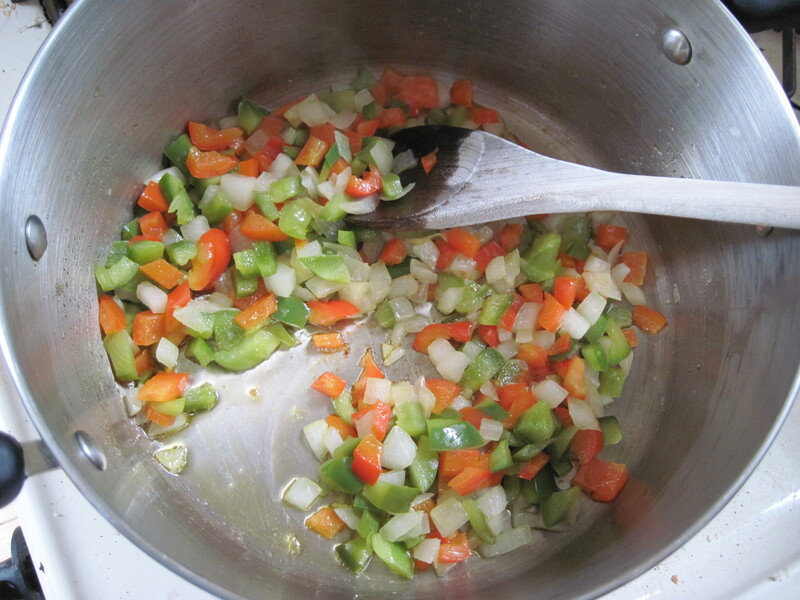 Add peppers and garlic and cook an additional 5-8 minutes, until vegetables are just tender. 5. 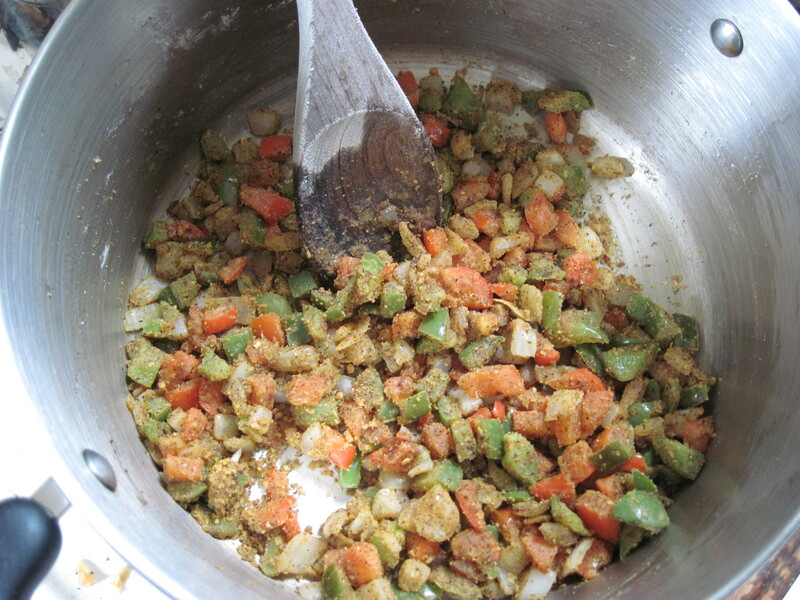 Combine the flour and spices and stir into vegetables. Cook 1 minute, stirring constantly. 6. 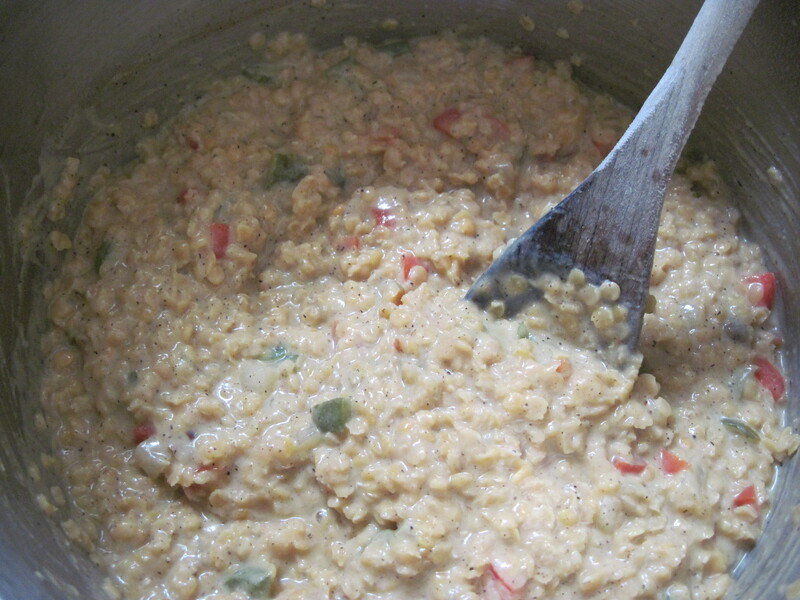 Gradually add milk (1/3-1/2 cup at a time), stirring after each addition. After all milk is incorporated, cook 3-5 minutes, stirring constantly. 7. Remove from heat and stir in drained lentils. 8. Serve over split biscuits or English muffins. For a heartier, more traditional breakfast, serve over homemade biscuits with home fries (stay tuned for my favorite biscuit recipe). For a lighter adaptation (and a shorter prep time) serve over your favorite whole wheat or multigrain english muffins and accompany with grilled asparagus or a green salad. •As always, adjust the spices to your liking. I love the taste of smoked paprika, so I sometimes add a tiny bit more so that it’s more present. I also tend to add more pepper flakes for a little more heat. •I suggest adding some of your favorite veggies to this dish. Whatever you add, just be sure you cut them so that all vegetables are roughly the same size. Also, be sure to add them at the appropriate time so that all vegetables are just tender when you add the flour. Suggested additions: carrots, squash, broccoli stems, and sweet potato. BEETNIK Recipes is your source for gritty, grungy, taste-good, feel-good vegetarian cooking!